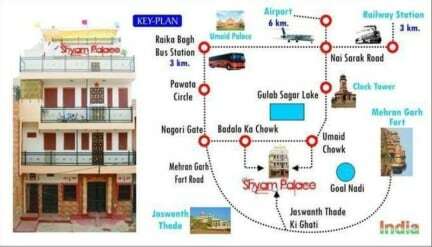 Shyam Palace Paying Guesthouse will provide all the required facilities, quality service and worthy experience. It is a complete family business where staff let the guests feel like their second home which is the best part of the property. shyam guesthouse is a nice place to stay if youre on a budget. shyam is a lovely host and offers everything you need. the facilities are not high standard but what do you expect. you still get a warm shower, blankets and he serves food during the whole day! overall a good place and recommended! Great location and Ajay was really helpful, booking us train tickets and providing us with breakfast. My only complaint was the lack of warm water but everything else made up for it really. Recommend staying here! You can reach the place in an Auto forget in a Car. The lanes are very narrow. You have to carry your baggage from the Auto to Hotel which is in a very small place. Please do not suggest to this to an average Indian. 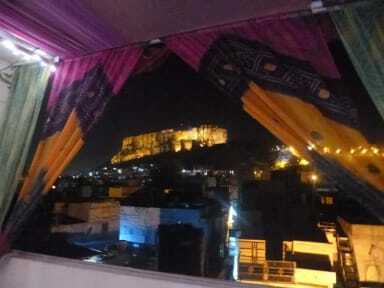 The place is not clean nor the rooms, though Mr. Ajay the owner is a wonderful person.